Part of the mission of the Northwoods Volunteer Connection is to support other organizations and recreation groups who complete volunteer projects on public land in the region. Below is a list of the programs and assistance we are able to provide. The Northwoods Volunteer Connection has hand tools including bow saws, Silky saws, loppers, shovels and rakes as well as personal protective equipment available for volunteer groups to borrow. Groups working in remote areas may borrow a Delorme inReach satellite communication device. This device allows people in areas without cell phone service to send texts and SOS messages with location maps to designated contacts or search and rescue personnel. 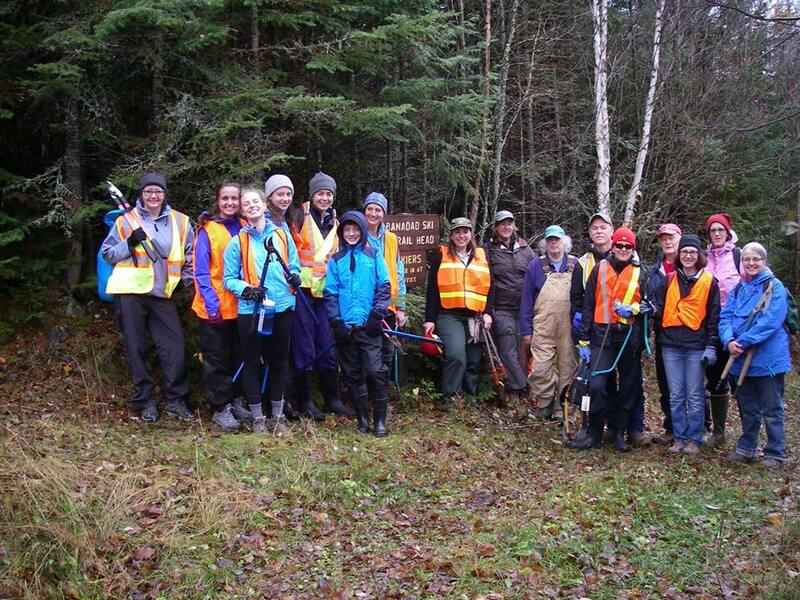 The Northwoods Volunteer Connection posts volunteer events from groups working on public lands in the region on the Get Involved page as well as social media feeds to assist with recruitment. The Northwoods Volunteer Connection is open to requests to partner with other volunteer organizations in grant applications. Proposals that benefit both organizations are preferred. Please indicate which program or type of assistance you are interested in.